When it comes to prescription pain medications, there’s a lot of misinformation out there. Here’s how to separate fact from fiction. When it comes to prescription pain medications, there’s a lot of misinformation out there. Whether you’re searching for information about how they can help you relieve pain or reading the latest tabloid story about a celebrity addict, separating fact from fiction can be tough. 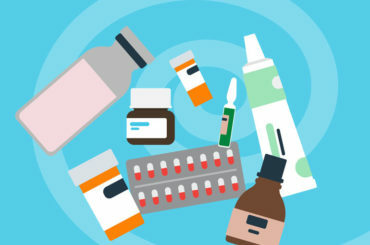 Below, Richard Rosenquist, MD, Chairman of Pain Management at Cleveland Clinic, debunks six common myths about prescription painkillers, such as oxycodone and hydrocodone. More does not equal better. It’s true that in the short term — after a severe injury, for example — two pills may be more effective than one at relieving pain. But over time, taking too much backfires. Research suggests that chronic use of pain medications sensitizes a portion of the nervous system and modifies the way your brain and spinal cord interpret pain signals, Dr. Rosenquist says. It can’t happen to me. I’m a good citizen. I’m a normal person. I couldn’t possibly get addicted. Thinking this way is dangerous. Even if you start taking a prescription pain medication for a legitimate reason, you run the risk of addiction. It has nothing to do with moral character and everything to do with the highly addictive nature of these drugs. On the flipside, just because you take a prescription painkiller does not mean you will become addicted. It depends largely on your own personal risk of addiction. That’s why Dr. Rosenquist and others in pain management screen for risk factors: a family history of addiction, a personal history of alcohol and drug abuse, or certain psychiatric disorders. Not everyone gets addicted, but everyone who takes painkillers for an extended time period will experience symptoms of withdrawal if they suddenly stop. It’s a natural reaction. Addiction is not the only risk that comes with prescription pain medications. When you take them for extended periods of time, they also can harm your body’s endocrine system and throw your hormones out of whack, affecting everything from your libido to your risk of osteoporosis. “There are a lot of bad things that can happen, but people don’t always hear you when you describe them,” Dr. Rosenquist says. As you can tell, there is plenty of scary information about painkillers. However, there are certainly legitimate uses. In addition to treating the pain from acute injuries, a very small fraction of chronic pain patients see improvements in both pain levels and function from taking pain medications — especially when other pain management techniques fail for them. For the majority of people, though, prescription pain medications should be a short-term treatment at most. This may be the biggest myth of all. Pain medications simply mask your symptoms; they don’t treat the root cause of your pain. That’s why Dr. Rosenquist focuses on making a diagnosis and addressing the cause of the pain whenever possible to help improve your function rather than just how you feel. Are you moving better? Are you able to get back to work? These are important questions about function. So is the question of whether you’ve been making efforts to get better. For example, have you been following doctor’s orders and doing physical therapy to recover from an injury? Have you been losing weight if you’re suffering from weight-related joint pain or back pain?